Do you want to be a Pinterest Power User? 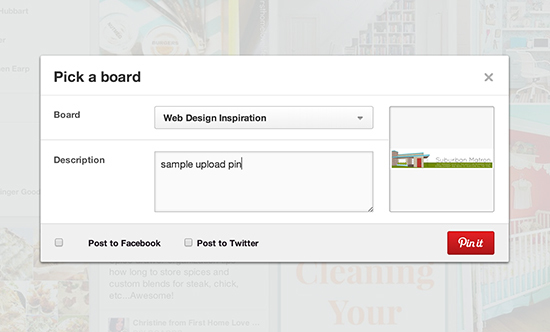 I like to think of myself as a Pinterest Power User. I need to tell you what I consider powerful usage, though. I don’t have a million followers (although I was named one of the Top 10 Apartment Therapy Journalists on Pinterest… woot! 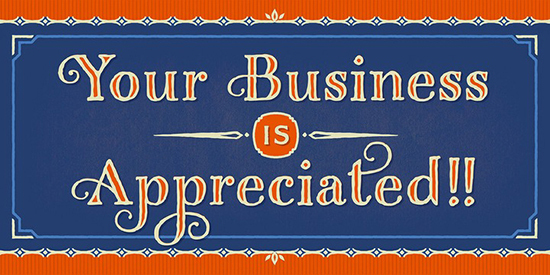 ), but I use the site at least 3 times a day, every day. It’s my go-to resource for researching blog posts and my own personal projects. GAH! Has this happened to you before? It drives me batty. 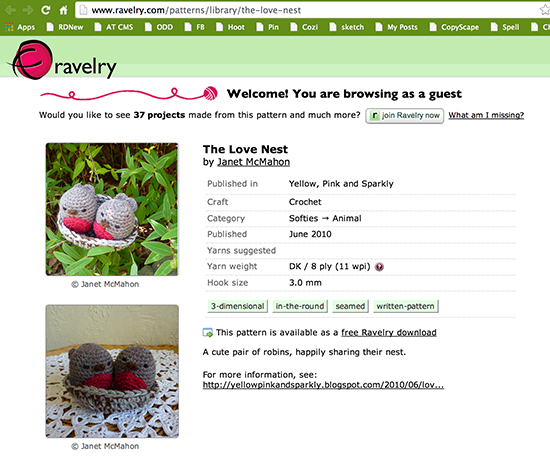 So, I’m here to offer all pinners 4 tips for creating helpful, linked pins that will allow everyone to find an original source and will give proper credit where credit is due. 1. 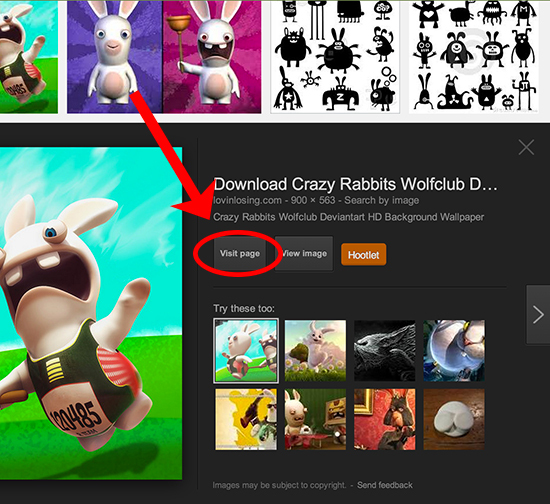 Don’t pin from a Google images search page. you’re still on the Google page, and pinning won’t connect the image to anything except a Google search. 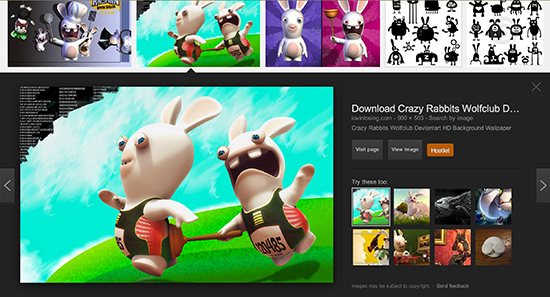 In the second image above, you’ve clicked on an image to enlarge it, but you haven’t changed the page you’re on. So when you or anyone else clicks on this pin, Google will re-perform the keyword search. So things that came up on that specific date and time that you pinned will likely be gone forever. 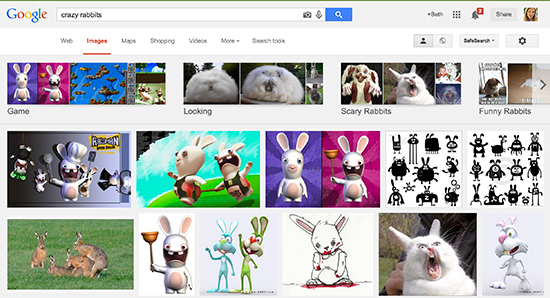 New images, different page rankings, and lots of other factors make a Google search very fluid over time. So if you want to be able to go back to that image and get more information, make sure you click through to the source. 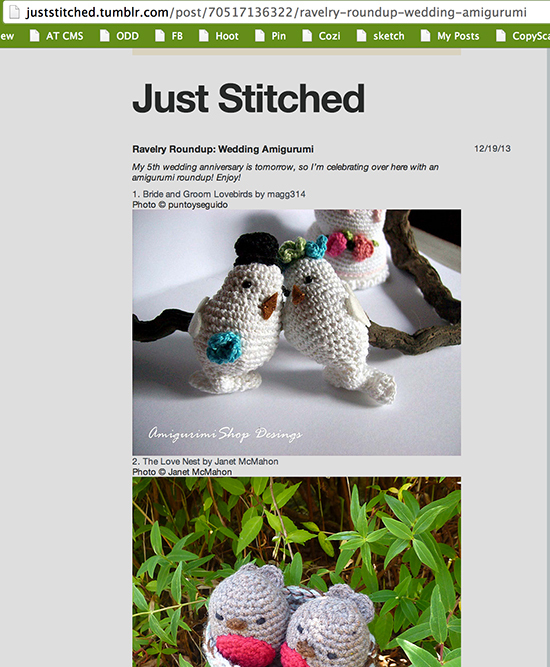 To do that, once you’ve enlarged the image, click on “Visit Page” to get to the original source to pin the image. 2. 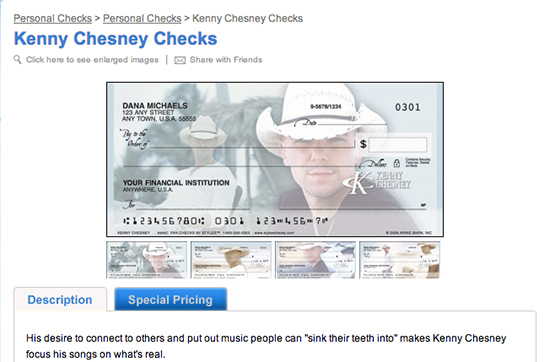 Don’t pin from a site’s homepage. Let’s say you found site that’s got some interesting stuff. You’ve landed on the homepage, and you’re scrolling through, looking through posts, clicking on the “Older Posts” button, and after several clicks and a lot of scanning, you find something you like. Stop! Don’t pin yet. Find the start of the post with the image in it, and click on the title of the post. ]If you look closely, you can see that just above this post is the end of another post. If you pin from here, you’ll be linking back only to the homepage. So if you check back in 3 months, and this is an active site, the post you were looking for is going to be way, way down in the archives, and difficult to find. You’ll know you are on a single page instead of a homepage by the address. Then pin from there, and you’ll always be able to get back to the original source. 3. Always look for your original source; try not to pin from a roundup. 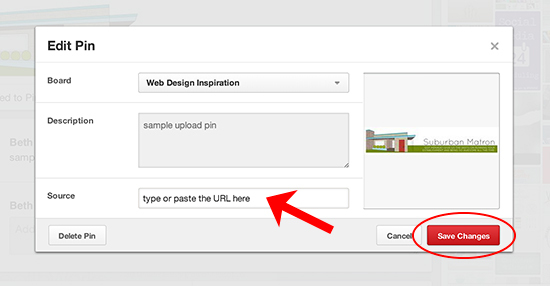 Although this tip is slightly less important because you hopefully still have a clicking trail, it’s much easier to pin from the original source instead of someone who has borrowed that image. If you find something you like in a round up post, click on the link that the author has (hopefully) provided so you can pin from the original site. and can then pin from this original source. When you come back to it, you’ll be taken right back to the image you want, and you won’t have to scroll through a whole roundup to find the image you pinned and then click through to its source. 4. 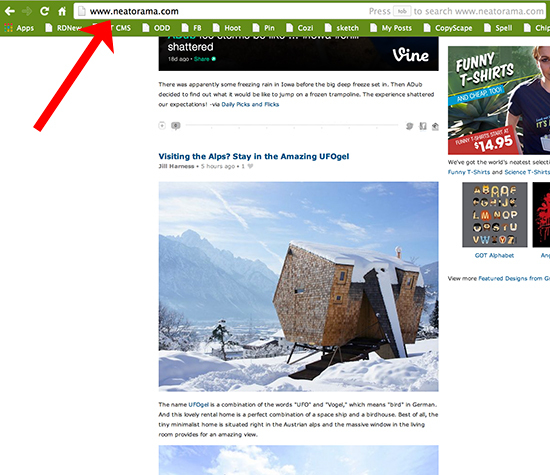 If you upload a screenshot or a picture, give it a URL. I have a board called “Web Design Inspiration” that I use as a kind of mood board when I’m redesigning my site or other graphics. 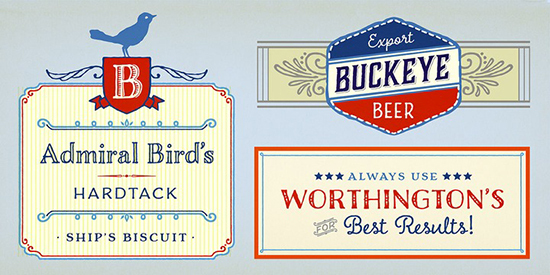 Often, I find a header or social media buttons that I like, but you often can’t pin those from a website. So I’ll take a screenshot of just what I want and upload it as a pin. However, when you upload a pin, there’s nothing linked to that image. Since there is additional information available on this pin, I’m always certain to go back and edit my pin to add the URL from which it came. You’ll notice there’s nowhere to add a URL, unless you do it in the description, which won’t make the image clickable. Save the pin by clicking “Pin It.” Then, either click on the “See it Now” box that comes up (I couldn’t get a screenshot because it disappears too fast! ), or go back to the board where you pinned it and open it there. At the bottom right corner of the image, there’s a little pencil icon or something. Click that to edit the pin. 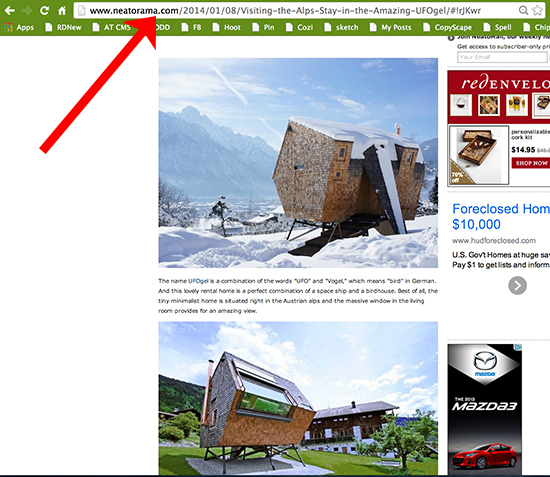 Type or paste the URL in the “source” box, and click to save changes. Voila! You’ve done everyone a service by connecting that image to its original source. Obviously, this technique doesn’t work if you are uploading an image that you took that isn’t posted anywhere else on the web. So, those are my tips! If everyone followed these few guidelines, I think we’d have a much more helpful and efficient resource! Do you have any great tips for making Pinterest better for everyone? Let us know in the comments! It was a busy December and I’m getting off to a slow start in January. But Happy New Year! I did a lot of shopping at craft stores this season, and I’m always stunned at the esoteric craft books that are out there. 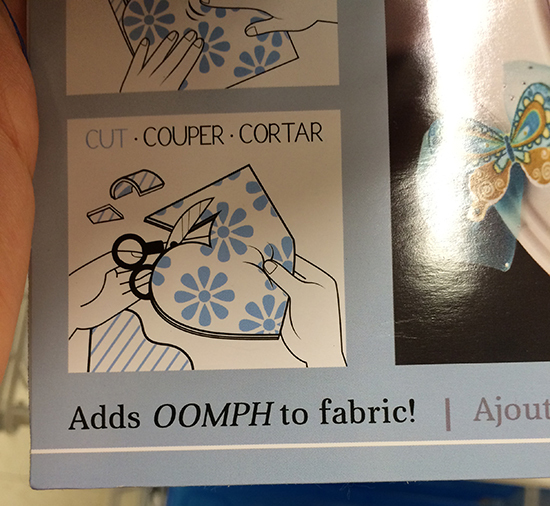 Especially when you are shopping at JoAnn’s. I’m happy to see them, because I hope to get a book deal to publish several of my own esoteric craft books someday soon. But I have to share some of these full-fledged BOOKS that, like, I don’t know, how can you write a whole book on that? 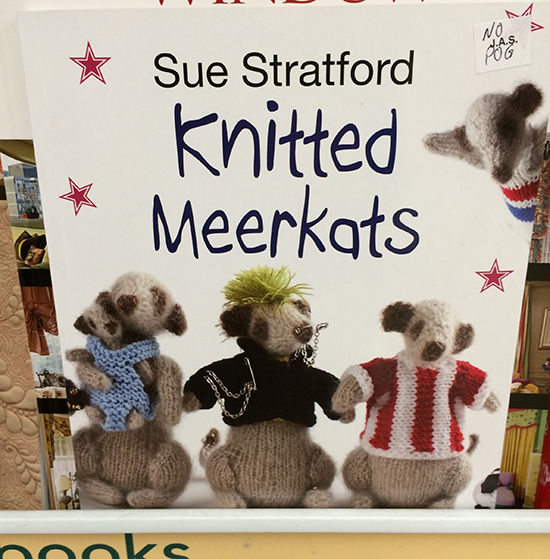 You can also buy an entire book of knitted meerkats. If you want to make a wombat, or a fennec fox, or a capybara, you are out of luck, becuase it’s ALL MEERKATS ALL THE TIME in this book. How many different ways are there to knit a meerkat? I mean, it looks from the cover like it’s just one meerkat dressed in a lot of costumes. 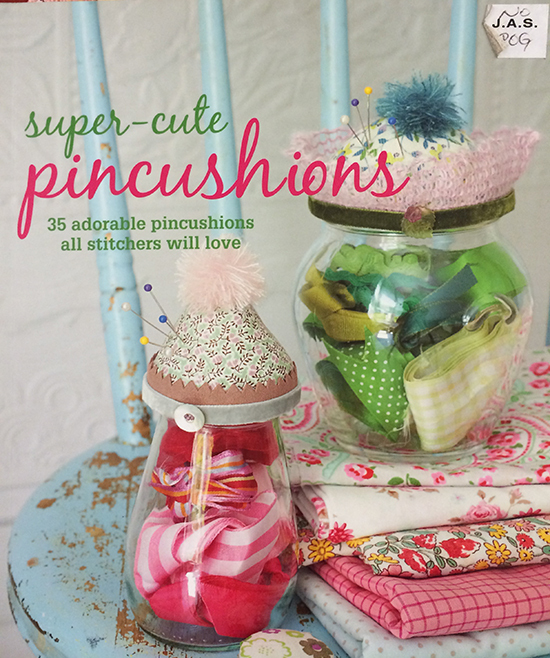 But good on ya if you can sell a whole book based on one pattern. 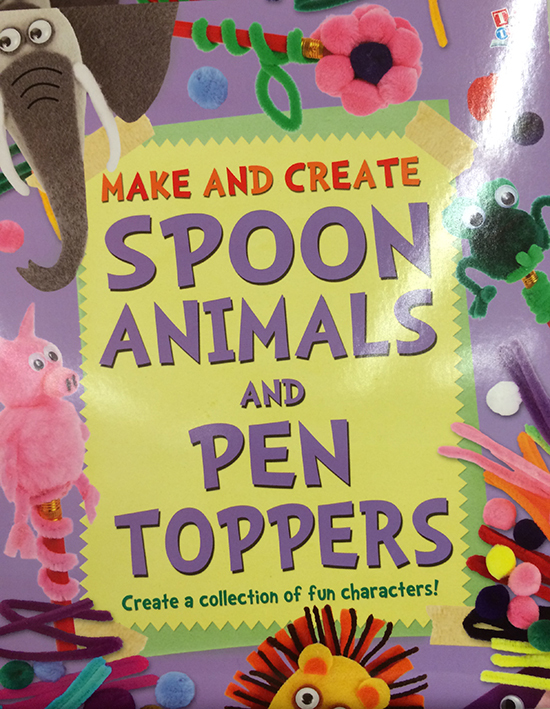 You can also make an entire book of spoon animals and pen toppers. What is a spoon animal, exactly? Is it like made from a plastic spoon? The good news is this book is only 24 pages long. First, it’s like, a whole book?! How bad can your eyebrows be? 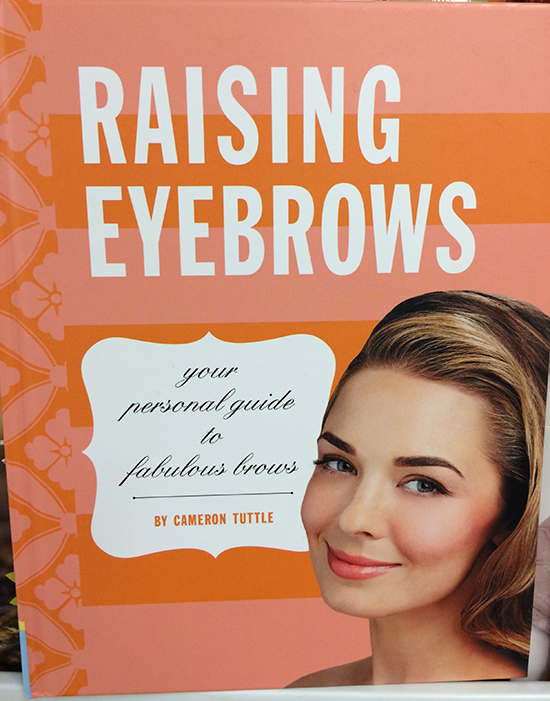 How many different ways can your brows be fabulous? But also, if you have to consider your brow grooming to be a “craft,” I’m thinking you might need some professional help. There were plenty of cookbooks in the book section, too, which also confuses me because I don’t think of cooking when I’m at JoAnn fabric. 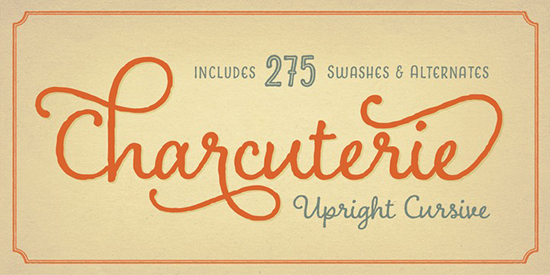 I guess cooking is a craft, but do you need these cookbooks? 60 recipes? Isn’t a milkshake like, put some ice cream and milk in a blender and then whazz it all up? The flavor, I always thought, depended upon the flavor of the ice cream. 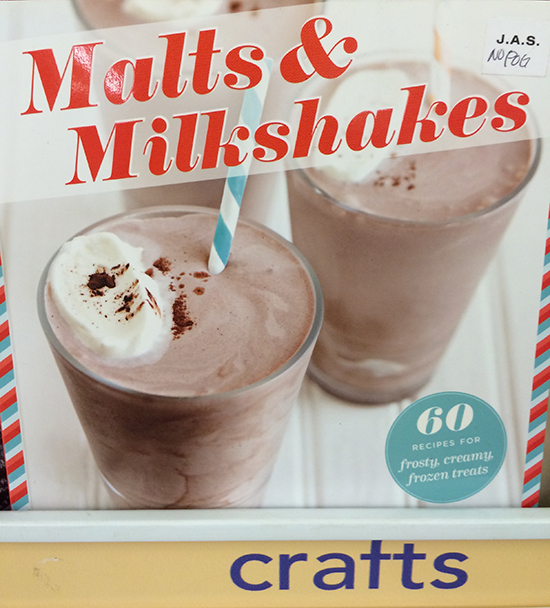 What’s going in these milkshakes? 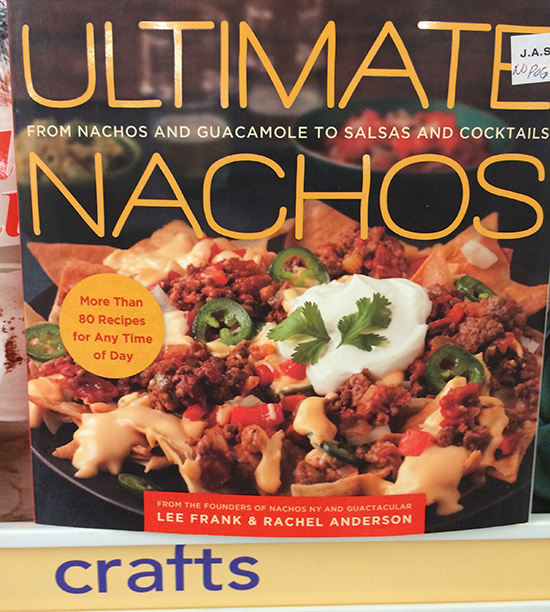 In the nacho book’s defense, it does say there’s guacamole and salsa in there, but then it’s not really just Ultimate Nachos, then, is it? No one, and I mean no one, needs 80 different kinds of nachos. Or nachos for breakfast, because you know that’s where it’s going. So, let’s have it. 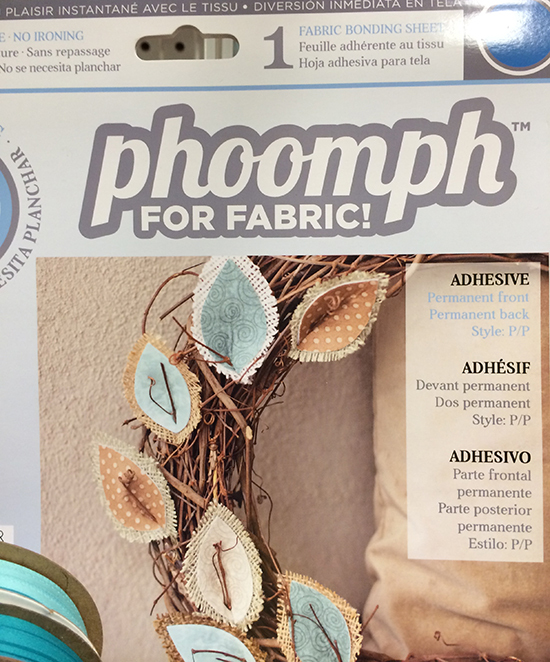 If you were writing your own narrowly focused but hopefully marketable craft book, what would the title be? We’re dying to know. Leave it in the comments! 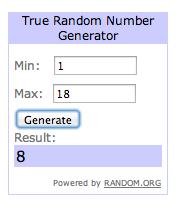 I’m here to announce the winner of the $50 American Express gift card, which was chosen by random number generator. And the winner is… Lisa Brown! Congrats, Lisa. I’ll be contacting you with more info. I’ve been planning Halloween costumes for a few weeks now, and we’ve finally nailed down what the kids want to be. Let’s play a fun game, yeah? 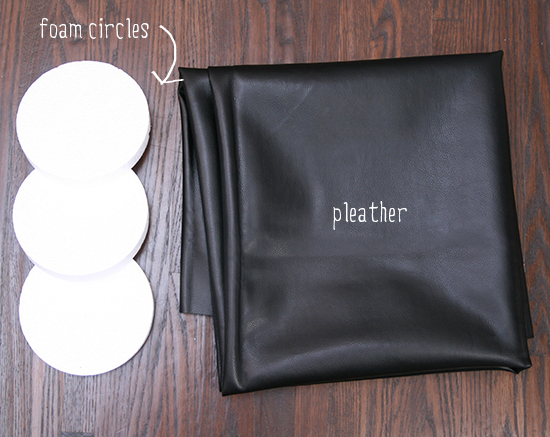 I’ll show you a little of what I bought today for their costumes, and you try to guess what they want to be. Keep in mind they are 10- and 7-year-old boys. That contact cement required that I show an ID to the cashier. What the? 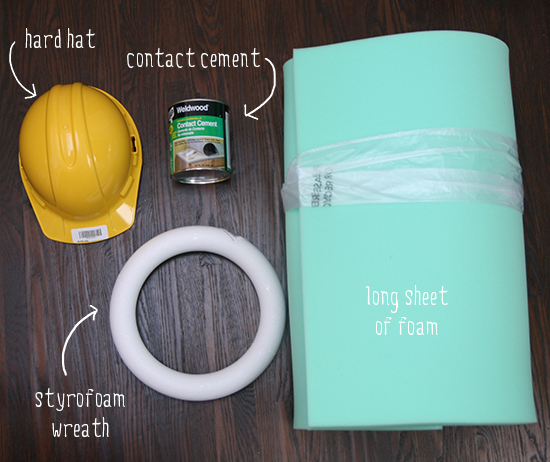 These are not all the supplies, mind you. Just a few that I bought today. Any guesses? C’mon, it’s fun!